This State of Delaware online pamphlet explores the dinoflagellate Pfiesteria and its role in fish disease. The page describes how Pfiesteria affects fish, how to detect the microorganism, and various signs of Pfiesteria in tidal waters. 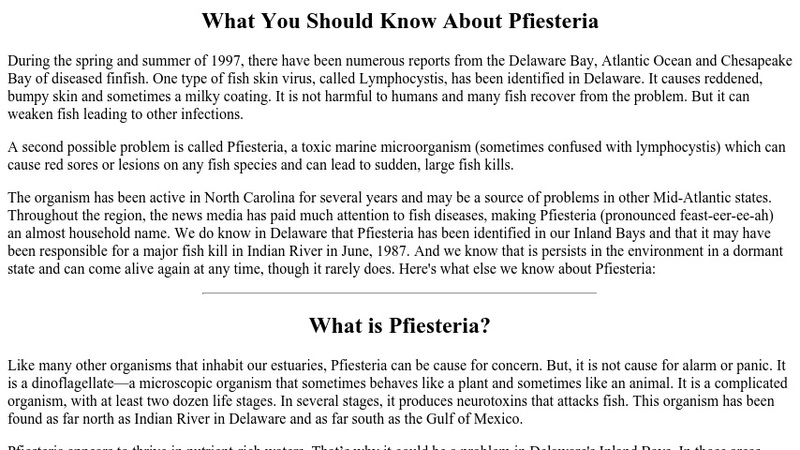 The page also includes contact information for the Delaware Department of Natural Resources in case you suspect Pfiesteria in your area.